Post & Webster, Japantown Bowl. Neighbors fought to save Japantown Bowl, but in the end owner Kintetsu Enterprises Co. of America wanted to sell the place and it did. The bowling alley was the cornerstone of Japantown after 24 years at Post and Webster. It was one of only three bowling alleys remaining in the City and was home to dozens of youth groups and bowling leagues. 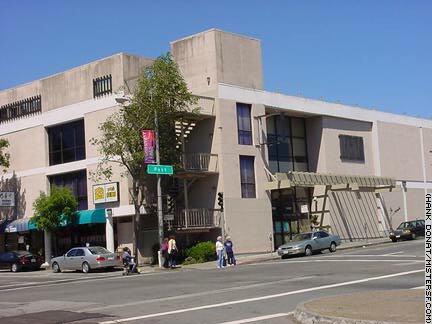 The neighborhood institution was the social center of Japantown until its last day, September 20, 2000. Opposion to the closure was fierce but fruitless. An offer by the Japanese Cultural and Community Center of Northern California to purchase the property was rejected. Supervisor Mabel Teng moved to have the City operate the lanes as a recreation center but the idea never got off the ground. Supervisor Michael Yaki's attempt to stop removal of equipment from the property was merely a speed bump in Kintetsu's road out of the bowling business. Kintetsu repeatedly stated that bowling was a dying sport while critics said the company was selling Japantown's character to the highest bidder in the City's then-booming real estate market. Japantown Bowl was sold to a group of investors led by Board of Appeals Commissioner John McInerney for $7 million. Shops and condos went up in place of the facility. The Presidio Bowling Center and Yerba Buena Bowling Center are the City's last remaining bowling alleys.